At Master Odor Removal, we believe that good health and positive experiences come from a neutral or odor free interior environments. When you are in the odor removal business, you take quick notice of actions or situations that seem almost innate instances of not being green. 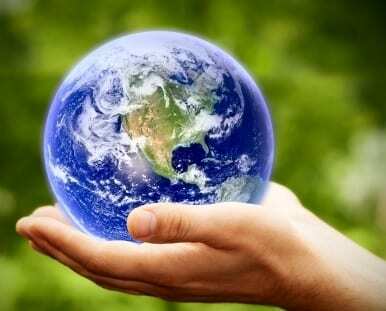 We like to think that every day is Earth Day. Green, eco-friendly odor elimination is as important as any other factors when cleaning in interior spaces, be it autos, trucks, SUVs, limos, day care centers, homes, apartments, and commercial spaces. The health of the interior materials and of course the people using the space make green odor elimination so important. It turns out after all these years we were following a green environmentally friendly path in the normal course of our business operations – so why not become green certified? We had never thought we were “green” even though we have sourced the manufacturing of materials for our chemicals from approved sources and our packaging is in recyclable bottles. Our product is water diluted, non-toxic, non-staining, non-ionic, non-carcinogenic and hypo-allergenic. We use only micro-fiber cloths to clean up, and use whenever possible electronic billing statements. We strive to use post-consumer recycled materials. During the course of our servicing interiors for odor removal issues we have zero trash. Since we are a home-based business, we do have to commute to a brick and mortar location so there is no duplicitous carbon footprint to operate our business. We are in a niche business category, we only do odor removal – without cleaning. Consumers have not had any real exposure to odor removal only specialists. Real estate professionals and auto dealerships, and the general public for the most part only knew that if they had a tobacco, pet or food odor problem they had to resort to hiring a maid service for a deep house cleaning or auto detailing without any guarantees regarding chemicals used or real effectiveness. With all the new science studies regarding the real toxic nature of retail chemicals used as air fresheners and cover-ups, we realized we were already a practicing “green” company and also in-line with green practices which has added to our narrative as Master Odor Removal being the choice for an odor elimination service. Green is the New Black – Growing Business Through Environmental Stewardship and Green Odor Elimination. Green is the new black – and in today’s eco-conscious market, environmental sustainability equals economic sustainability. The business case for going green is compelling – increased sales, exposure to major new markets, cost savings, employee engagement and government funding – all combine to create financial success. Green odor elimination is key. With these ideas in mind, Master Odor Removal is setting a new standard in our niche business for autos, homes, offices, day care centers, limos, etc. We believe that this type of green odor elimination certification is not only good for business and our planet, it’s essential. And we are proud to be one of the first odor removal companies of our kind to set the standard. 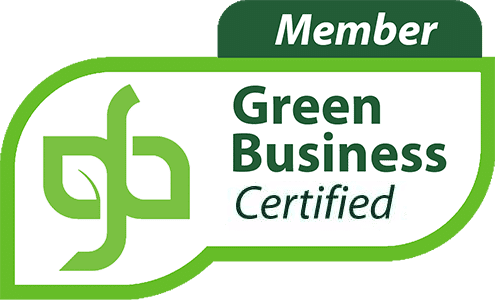 We are proud to have been accepted by the Green Business Bureau as a Platinum Member for our green initiatives and practices this year. Green business is smart business. Going green provides bottom line cost savings, as well as a competitive advantage in the marketplace. It allows Master Odor Removal to act proactively to address new environmental requirements from vendors and suppliers, and clients while getting ahead of upcoming legislation. A solid environmental program also attracts the highest quality people and clients to our company and keeps those that we have happy and healthy. The green market is still growing – increase of 7.3 million green consumers since 2006. Green consumers are willing to spend a premium (usually up to 20%) on green products and services over non-sustainable alternatives. Sales of organic and all natural products have increased 18% to 25% per year for five consecutive years. Businesses like Master Odor Removal takes great pride in being green odor elimination certified and part of a new “wave” of planetary consciousness. Buy Green!